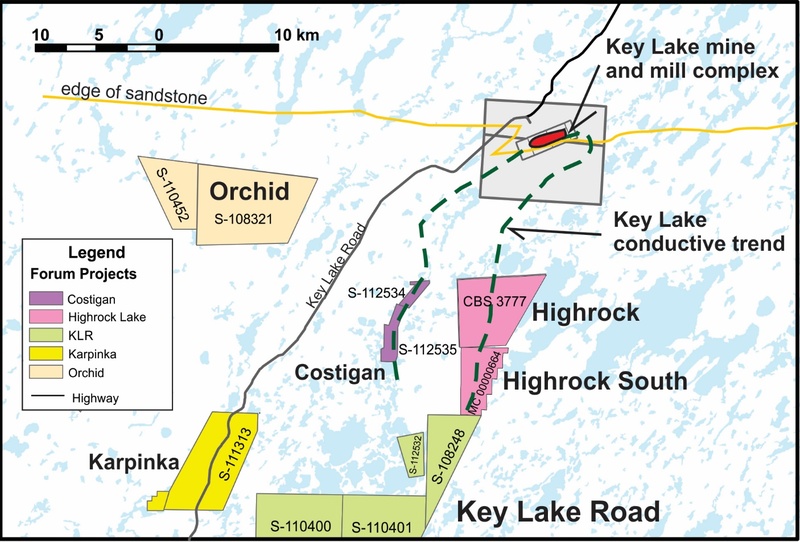 Forum Uranium Corp. ("Forum" or the "Company") is pleased to announce that drilling has commenced on its 100% owned Highrock project, located approximately 15 km south of the Key Lake mine and mill site (Figure 1). An eight hole - 1,500 metre drill program will test several shallow, basement hosted uranium targets. The Highrock claims lie just outside the southern edge of the Athabasca Basin where high grade, basement hosted deposits such as Fission's Triple R deposit can be found at shallow depths. Infrastructure in the Highrock area is excellent and includes a nearby all-weather road and powerline to the Key Lake mill site, approximately 10km west of the properties. 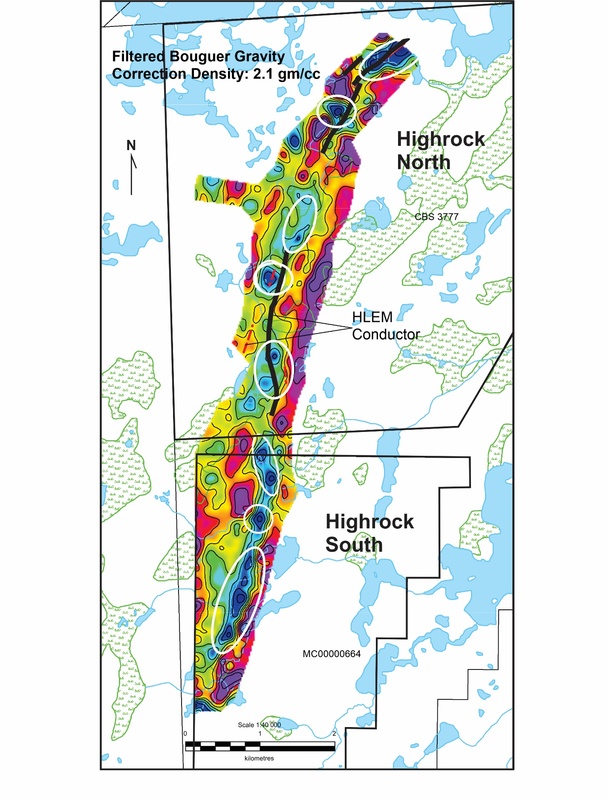 Positive gravity survey results from earlier programs completed on the Highrock North and Highrock South claims identified a number of gravity lows, which may be indicative of zones of alteration, clay development and uranium mineralization along very strong electromagenetic (EM) conductors on the property (Figure 2). The combination of gravity low anomalies in conjunction with EM anomalies has proven to be a very successful exploration technique on Forum's Northwest Athabasca Joint Venture and in the discovery of the Arrow deposit by NexGen Energy Ltd.
Ken Wheatley, Forum's Vice President, Exploration stated, "This strong conductive trend, which we interpret to be the same basal graphitic unit that hosted the 200 million pound Key Lake uranium deposit, coupled with the quality of the gravity lows, make this area a high priority, near surface exploration target."